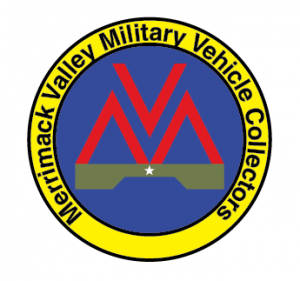 The Merrimack Valley Military Vehicle Collectors was formed in the fall of 1986 shortly after the International Military Vehicle Collectors Club Annual convention in Lowell Massachusetts. Most of the founders of the MVMVC were very involved in planning and executing that convention. This is a VEHICLE club, though vehicle ownership is not a requirement only an interest in military vehicles. We do not allow live weapons or ammunition. This is an ACTIVE club. During the summer, we have something going on almost every other weekend if someone wishes to attend.